Unlike a traditional spiral CT scanner, our CBCT systems utilize 3D diagnostic technology and provides precise, crystal-clear digital images. These scanners give our oral and maxillofacial surgery practice cutting edge technology to help our surgeons diagnose potential issues more accurately and provide treatment with unprecedented confidence. Preset fields of view simplify the imaging process to more efficiently focus on each patient’s anatomical features. 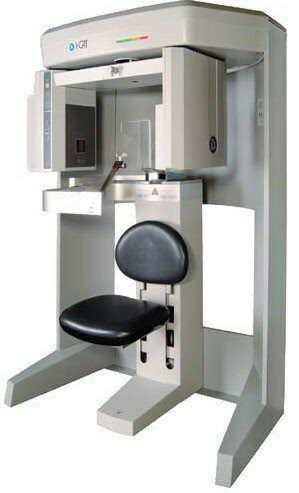 Our 3D scanners allow us to choose the field of view (scanning area) that best suits your specific treatment needs. This helps to limit your radiation exposure because we are focusing specifically on your area of concern. 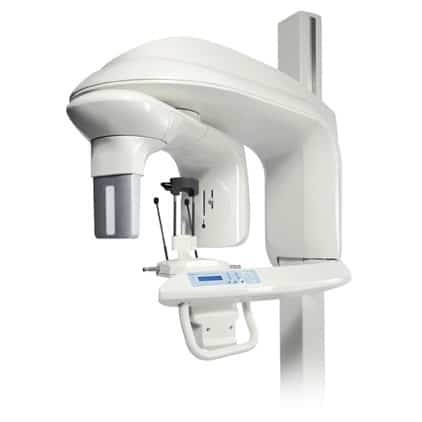 Our CBCT systems provide us with 3D treatment tools for ultimate treatment efficiency used in implant/restoration cases and oral and maxillofacial surgical procedures. Both systems bring the latest 3D technology to our practice, providing unmatched visualization of anatomical detail which aids in treatment planning and help us to better explain the particulars of your case and address any questions you might have. Our doctors use this innovative technology to quickly and easily share 3D images of the area of concern with your referring dentist allowing the doctors to collaborate on your care, improving your experience and delivering a positive treatment outcome. Even though the CBCT scan is considered the standard of care in the oral and maxillofacial surgery field, some insurance plans do not cover this service. While it is our job to take care of you properly with state of the art tools, it is the insurance benefit plan’s job to pay only according to your employer’s contract specifications. We suggest pre-authorization with your benefit plan to confirm possible insurance reimbursement.